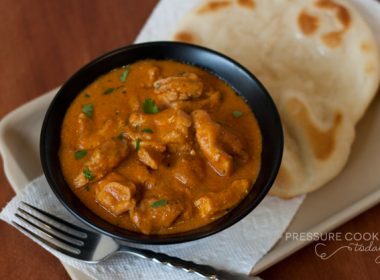 Today I’m featuring a pressure cooker recipe from Debby, A Feast for the Eyes. 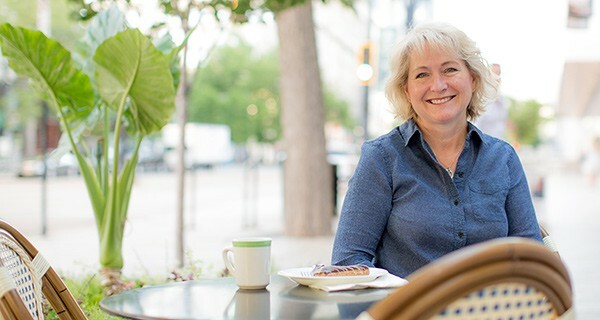 Debby has been pressure cooking for 15 years, and in a recent post described the pressure cooker as a misunderstood kitchen tool. Maybe the word “pressure” makes people think it’s going to explode, and so it strikes terror into your cooking hearts? What else would we call this? How about “Instant Slow Cooker”? That made me laugh, but it’s so true. 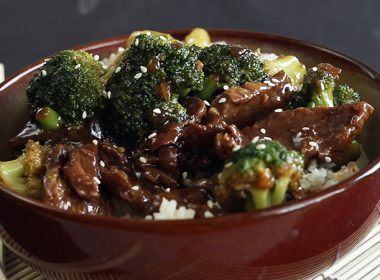 Pretty much anything that cooks well in the slow cooker you can cook faster, and mostly like it will be better tasting, if you cook it in the pressure cooker. An Instant Pot is one of the most popular brands of electric pressure cookers. 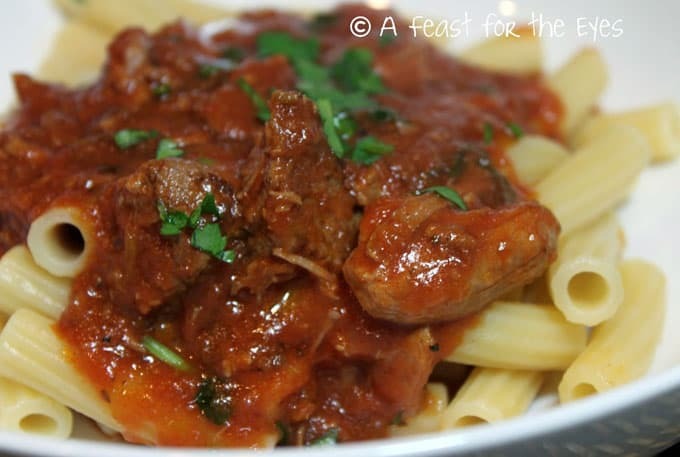 They are easy to use and your Instant Pot can help you create this delicious Pork Ragu Pasta Sauce! 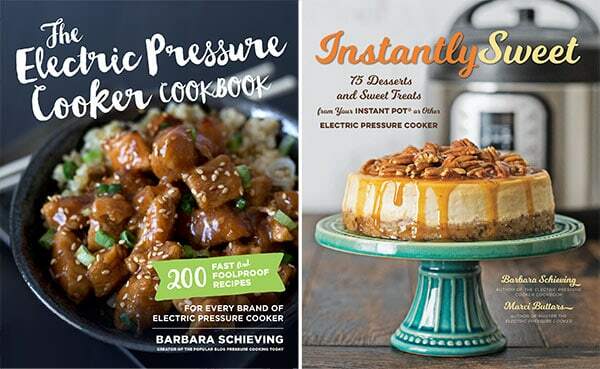 , a pressure cooking cookbook, by America’s Test Kitchen. She’s enjoyed several recipes from the cookbook but this one was her favorite, and when she served it over polenta, she said it was out of this world delicious. 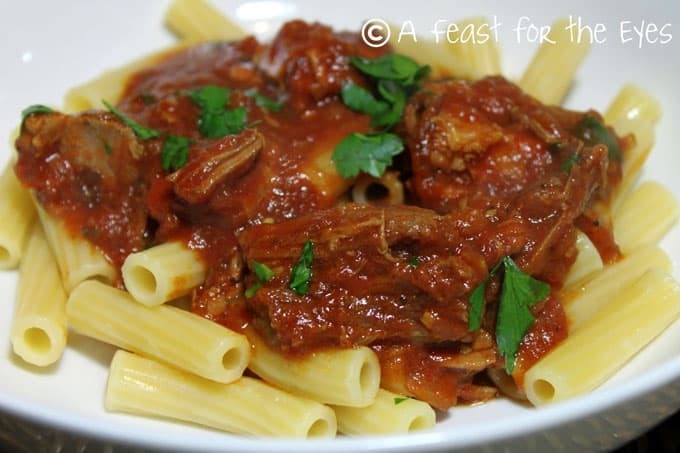 Visit A Feast for the Eyes for the recipe and tips on making the Pork Ragu pasta sauce, as well as other simple, flavorful meals and wonderful baked treats. Made this tonight .. thanks for pointing me to it! I used boneless sirloin chops, which were quite lean so started by sautéing some chopped pancetta to add an additional flavor and some of the fat that would have been in the suggested meat cut. Served over pan-fried polenta rounds. Just enough left for a hearty lunch tomorrow. Sounds like a delicious way to change it up. Thanks for sharing Michele! Hi Barbara. Could this recipe be doubled? 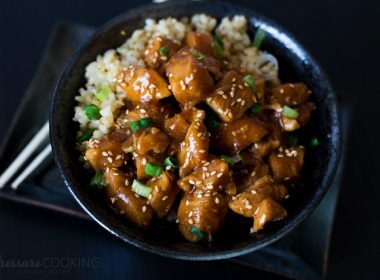 I’m very new to my instant pot and I am hoping I could make this and freeze at least half. Thank you! Hi Stacey – Yes, you shouldn’t have any problem doubling this recipe. Your cook time will be the same. I like the idea of freezing half for later. I recently bought the new Instant Pot and I am loving it. 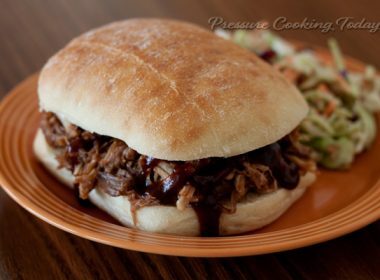 I’ve been slowly working on learning how to convert my slow cooker recipes and other family favorites over to pressure cooked meals. This site has become my go to for inspiration. So far I’ve been pretty successful with my attempts with the latest being converting a Martha Stewart recipe to pressure cooker friendly. This recipe is on our “to try” list and I’m really looking forward to it. Thanks for maintaining such a great site. 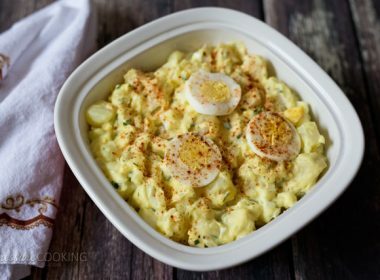 What a great looking recipe-this looks like something my Nana used to make back when I was growing up and she simmered it all day on the stove. The pressure cooker saves SO much time. Thank you Barbara and Debby. Barbara, thank you for featuring my recipe. I love all the recipes you share on your blog, several of which I’ve made. The more I try pressure cooking, the more I appreciate the delicious savory and sweet recipes we can enjoy in a much faster way. Speed cooking! Can bone-in browned pork (country-style spare ribs) be used in this recipe? Yes, Debby used bone-in country-style ribs and cut out the bone.